Psychic, astrology and spiritual guidance. Have worked with Sylvia Brown, Alison Dubious and am happy to help you when I am not traveling! Kimmie Rose, Intuitive, Author, Media Personality, Teacher, and Life Path Coach was born in London, Ontario, Canada, into a family with an intuitive past. She first learned to use her intuition under the guidance of her great-grandmother, who had the same gifts and read tea leaves. Her distant relative, William Blake, the famous poet who is well known for his artwork and intuitive poetry, also inspired Kimmie as a child. Her mother, Carolyn Rose, does spiritual readings on Keen and she is a Reiki Master. To her credit, Kimmie holds a Masters of Hypnotherapy and Paranormal Psychology and a Teaching Certificate in Hypnotherapy. She is the Executive Director of The Awareness Institute, President of Awareness Productions, Vice President of Awareness Publishing, Minister of The Free Spirit Sanctuary and Truth in Christ Church, and co-owns a metaphysical store with her mother. Kimmie won Toledo, Ohio�s Best Astrologer/Psychic award for four consecutive years and has been honored by The National Association of Transpersonal Hypnotherapists for her outstanding contributions to Transpersonal Hypnotherapy. 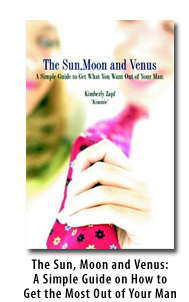 Kimmie is the author of a best-selling book amongst women The Sun, Moon and Venus: A Simple Guide on How to Get the Most of Your Man, and co-author of Emmanuelle Speaks. She is currently writing a book called Your Intuitive Path. Affectionately known for her ability to help people spiritually while assisting them as they learn to embrace their Intuition, Kimmie has traveled throughout the United States and Canada doing intuitive readings, counseling, personal consultations and speaking engagements. She continues to help people across the United States and Canada on a daily basis on radio stations in Michigan (WBTI 96.9 FM) , Florida (Island WILN FM 106) , Ohio (The Mix) , New York, California (Kelly 95-3 FM) , Iowa (KKHQ Q92.3) , Texas (KTFM) and Canada. As if that doesn't keep her busy enough, she also co-hosts an internet talk show with radio veteran Steve Marshall. Their show is called "Innerviews" and is broadcast on CBS Radio on the channel called "Psychic On Air" which airs weekdays from 12-3PM EST. Kimmie appears regularly on TV shows in Toledo and she also has her own column in a spiritual newspaper called Pure Visions in which she offers advice and spiritual ideas for personal growth. Kimmie co-hosted a pilot of the TV show called �The Torch� along with Lisa Clapier and honored host Patch Adams, MD. The TV show featured famous guests such as Al Gore, Depak Chopra and Gregg Braden, as well as everyday people who are doing remarkable things. 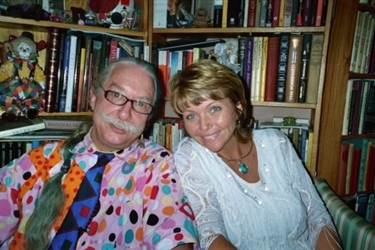 "The Torch"with Patch Adams and Lisa Clapier. Kimmie is an intuitive, medium and channel. 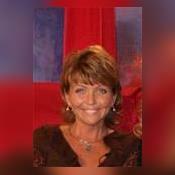 She does psychic readings using Clairvoyance, Clairaudience and Intuition. Many people go to her for relationship advice as she is very good at tapping into the energy of another person and helping people to communicate better in relationships. She has been reading on a professional level for nearly 20 years. Many people who call her say they enjoy her readings because she offers them suggestions on how to talk to their partners and help them go from a negative relationship to a positive one. "I believe everything that happens in life happens under Divine Guidance of God." Kimmie Rose has been a user of Keen since 2003. Getting Tarot Readers advice from Kimmie Rose through www.keen.com is safe, secure and confidential.